Thanks to some new pools submitted by swimmers like you, Swimia.com is increasing within the daily number of stored pools. Please don't hesitate to contact us when you acquire any Bulgaria Swimming Pool with inaccurate or incomplete details. Swimming is often a sport for all ages. It assists young folks to tone their muscles and grow healthy and strong. For the elderly, there's no better way to physical exercise than discovering a Bulgaria Swimming Pool to escape from everyday routine. We probably don't know all the Pools in Bulgaria. Are you missing any? Contact us!. Swimia.com desires your feedback on Aquagym in Bulgaria to ensure all the information and facts about swimming in Bulgaria is valid. Not all countries would be the same, and swimming rules and regulations are changing from one country to the other. So, if this is your first time searching for Bulgaria Pools, make sure to call the premises before you drop by. The greatest Bulgaria Pools are located primarily in large cities, but it's also easy to find public pools in rural areas. If you're tired of having eyes and irritated skin, finding a saltwater pool in Bulgaria might be the solution. It is best to know that the level of salt from these pools is nicely beneath the level of salt from sea water, particularly they're talking about a tenth or less. Enjoy the best indoor pools in Bulgaria and don't worry about the weather. These facilities are open all seasons and you can enjoy a swim at the same temperature every day of the year. 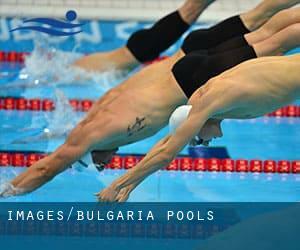 There are numerous reasons why it is best to choose a heated swimming pool in Bulgaria. Essentially the most important one relies on the significance of keeping the body temperature stable. If the water is as well cold, your body will try to warm it up and you will lose strength to swim correctly. Swimming is actually a excellent idea to help keep your body active during your visit to Sliven (Bulgaria), or even should you be a local. Swimia assists you to find your closest Swimming Pool in Sliven. Without a shadow of a doubt, swimming in Burgas could be the finest solution to unwind after function. 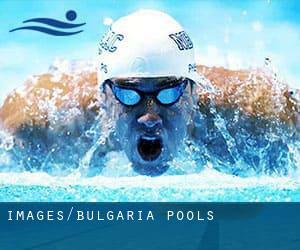 Take a couple of minutes to browse Swimia's catalog to find a Swimming Pool in Burgas. Whereas Rousse is among the six most populous cities in Bulgaria with almost 156.238 residents, you shouldn't miss that one if you're going to Bulgaria. It's hard to visit Bulgaria with out dropping by Sofia (with 1.152.556 residents). At present Swimia is showing you all the Swimming Pool in Sofia along with the closest pools situated in its vicinity. Swimming is usually a excellent concept to help keep your body active in the course of your visit to Plovdiv (Bulgaria), or perhaps when you are a local. Swimia helps you to discover your closest Pool in Plovdiv. Holding an estimated population of 312.770, Varna is among the most important cities in Bulgaria. Check all the Swimming Pool in Varna and its surrounding area. It's difficult to visit Bulgaria without dropping by Pleven (with 118.675 residents). Presently Swimia is showing you all of the Swimming Pool in Pleven and the closest pools located in its vicinity. Let us tell you a secret to switch off when you're in Stara Zagora: just pick a Swimming Pool in Stara Zagora and plunge into the water! There's no far more productive system. Praga 21 , Sofia (Postal Code: Unknown). Among all the activities provided by the center, if you're considering swimming you will delight in 25 meters, 5 lanes, Indoors. Just in case you desire to contact this Pool prior to dropping by, we only know the phone number. Simeonovsko Shosse 110A , Sofia (Postal Code: 1434). Swimmers like you reported 25 meters x 12.5 meters, Indoors. Phone number and email address are number for this Swimming Pool. 100 James Bourchier Blvd. , Sofia (Postal Code: 1047). This sports center gives 20 meters x 10 meters, 4 lanes, Indoors. Contact information and facts for this Swimming Pool which include phone number and e-mail address are number. 3, Yavorov , Pomorie (Postal Code: 8200). Swimmers like you reported 25 meters x 13 meters, Salt Water, Indoors. Phone number and email address are number for this Swimming Pool. 3, Bulgaria Blvd. , Smolyan . Swimmers like you reported 25 meters x 12.5 meters, Indoors. Unfortunately we do not have the email address of this Pool, but we can give you the phone number. 51 Vasil Chekalarov Str. , Boyana , Sofia (Postal Code: Unknown). This sports center offers 25 meters x 10 meters, 3 lanes, 0.8 meters - 2.7 meters depth, 0.8 meters - 2.7 meters depth, Indoors. Contact facts for this Swimming Pool such as phone number and email address are number. 131 Maria Louisa Boulevard , Sofia (Postal Code: 1202). Among all of the activities provided by the center, if you are interested in swimming you'll take pleasure in 25 meters x 12.5 meters, 1.4 meters - 1.8 meters depth, 1.4 meters - 1.8 meters depth, Indoors. If you need to contact this Swimming Pool, e-mail address and phone number are both number. Updated on 2019 4 Arsenalska Ulica , Sofia (Postal Code: Unknown). Swimmers like you reported Olympic size, 10 lanes, Indoors. Unfortunately we do not have the email address of this Swimming Pool, but we can provide you with the phone number. 75 Vassil Levski Blvd. , Sofia (Postal Code: Unknown). Swimmers like you reported 25 meters, 5 lanes, Indoors. Unfortunately we do not have the email address of this Pool, but we can provide you with the phone number.